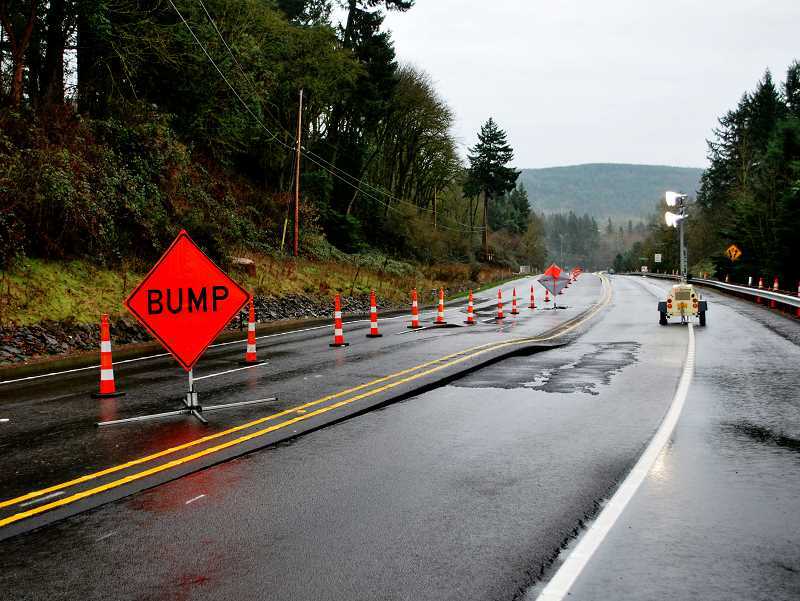 Repairs to Oregon 213 will resume at 7 a.m. Wednesday in Mulino with flaggers directing traffic around road repairs at the site of an ancient landslide. Travelers should expect traffic controlled by flaggers 24/7 for up to three months near South Eldorado Road at its south junction with OR 213. Crews will repair the highway surface in the final phase of work addressing movement from an ancient landslide that reactivated in 2017. The repair work spans the stretch of road between South Glenn Drive and South Freeman Road on OR 213. South Eldorado Road will be closed during repair work. In March 2017, cracks appeared in the pavement near South Eldorado Road. ODOT used the landslide database operated by the Oregon Department of Geology and Mineral Industries and found ancient landslides originating along the southern flank of Spangler Hill. From January to March 2018, crews installed 40 drains below the highway that created an easier path for water to drain from the area, reducing the potential for additional movement. These drains continue to function well and the monitoring instruments have not registered any movement since drain installation was complete. No additional significant movement is anticipated. Once the road repairs are complete, the lane closures will be removed and ODOT will monitor the highway on a long-term basis.